I have finally been able to sit down and put together a post on some of the major renovations my husband Carl and I have taken on in our new house. As I write this, there are two men working on our stair railings (bites nails…). And for those who don’t know yet, Carl and I purchased our first house here in Austin Texas. 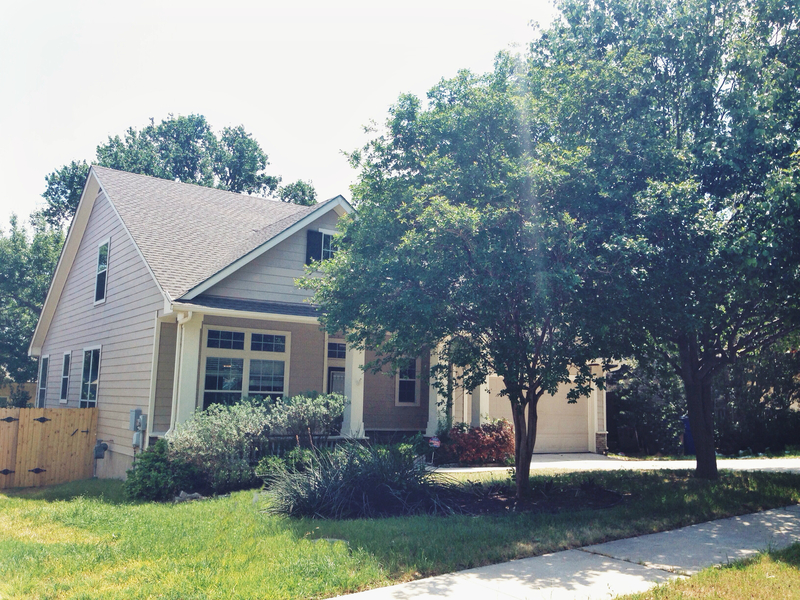 Here is the post about our home purchase. The renovation process has been insane, but we learned after a month into it, to handle things with grace and now we don’t stress over a thing. Homes come with a ton of responsibility and things are always popping up, which means money is always on its way out. And with renovations things take longer and cost more than what you initially think. 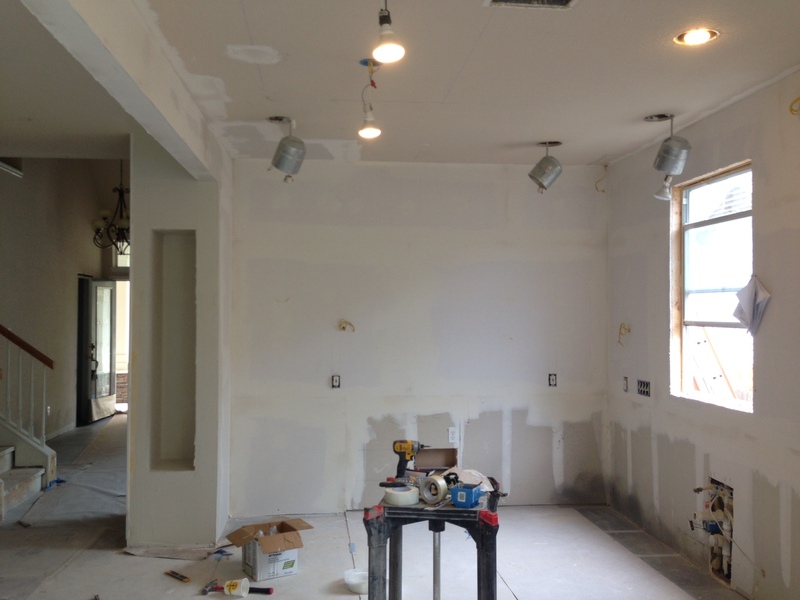 That being said…I’m going to continue sharing more posts on the house renovations and share my experiences with you guys! 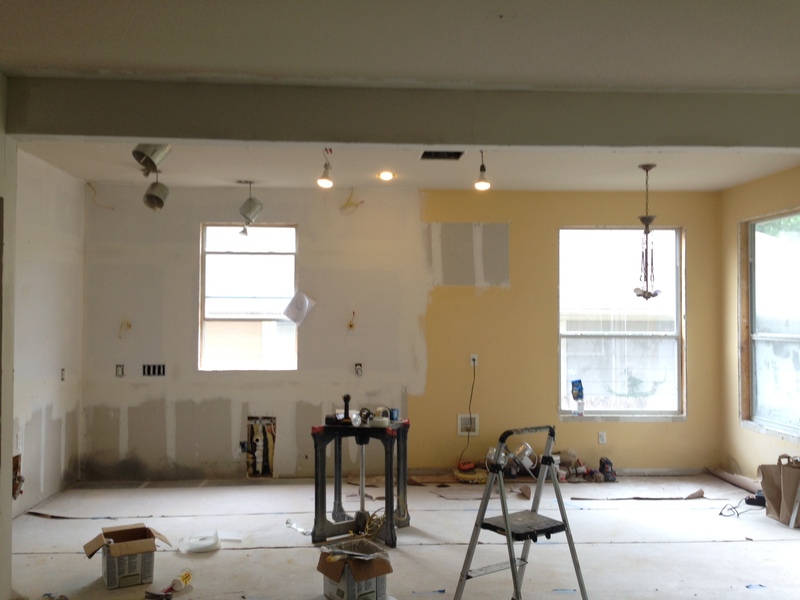 Our main focus for the start of the renovation was the kitchen. It had tan tile floors, yellow painted walls, a brown painted island with granite counters, and old cream cabinetry. 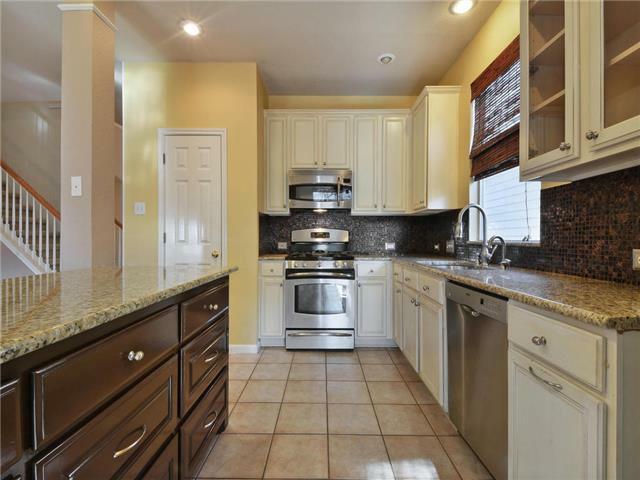 The backslash was tan and brown and there was a very dingy old pantry closet. There were also two columns (beams), one of them ran through the old island to support the open kitchen, since there use to be a wall there. FYI, if you plan on doing major structural changes like knocking down walls to open up a space, you have to hire a structural engineer/contractor whose licensed and knows how to locate where the load bearing sections are or your house/ceiling could literally collapse! Keep in mind knocking down walls and adding the right supports is one of the most costly portions of home renovations, a big thing to consider when renovating because that could be your whole budget, no joke! We hired people to rip up all the flooring in the kitchen and on the rest of the first floor and replaced it with stained gray concrete. 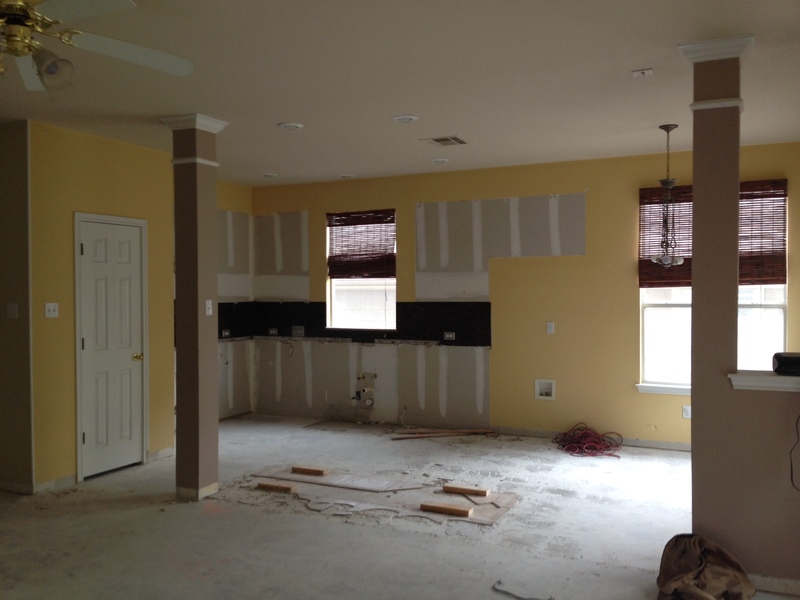 Our contractor and a structural engineer via Austin Maintenance tore down the two floor to ceiling columns and attached a long beam across the ceiling to open the kitchen up even more and keep it safely supported. The old pantry closet, cabinets, counter tops, island, and back splash also got torn out. 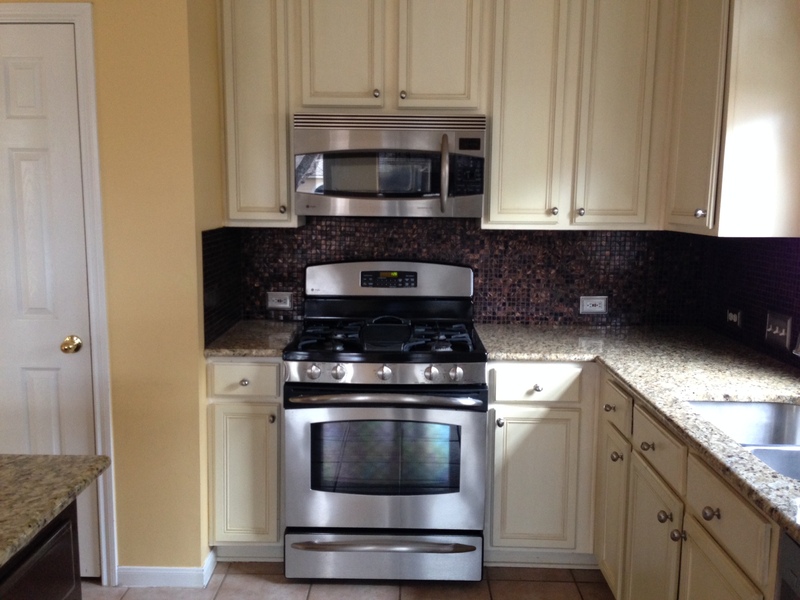 And we replaced all of the appliances and added a counter depth fridge, range hood and stainless steel farm house sink. 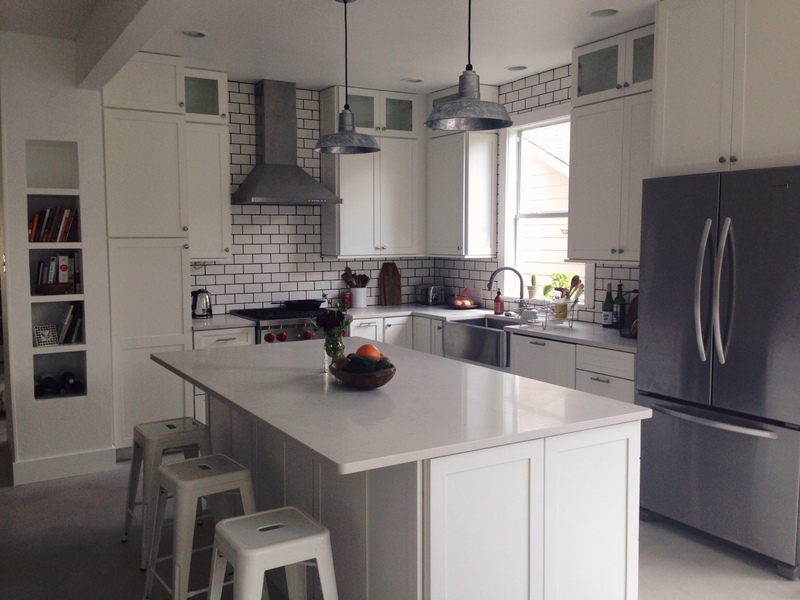 We went with an all white kitchen (white cabinets, white pantry closet, white walls, white back splash). 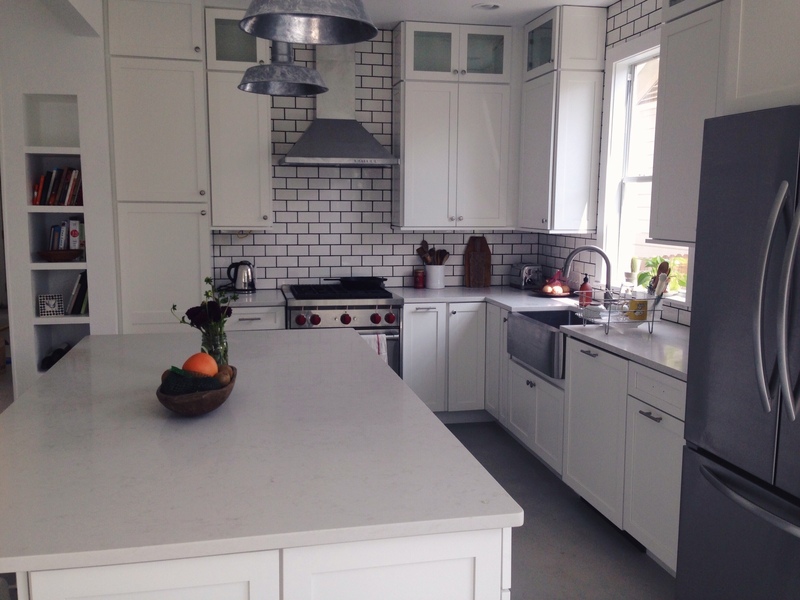 We extended the island making it nice and big and went with the London Grey quartz counter top and dark grout around the white subway tile. We designed bookshelves to be added next to the new pantry and got two galvanized barn light pendants hung over the island. The final look we were going for was a modern cottage. My favorite parts of the kitchen are the big island which opens up to our living room making it great to entertain family and friends. And I love, love, love my new stove! It’s a dream for anyone who loves to cook like I do! Thank you so so much @disqus_qRrYTAVboh:disqus !!! Beautiful Renovation, everything is perfect! Thank you so so much @kelly!!! WOW TIMES A MILLION!! I loooove it and am soooo happy for you and Carl!! Amazing job. The stove with the red knobs…nice! Congrads! Thank you so so much @tiffg1984:disqus!!! And yes, the Wolf brand stoves are known for their red knobs, it’s their signature! so pretty! It looks so open and breezy now! 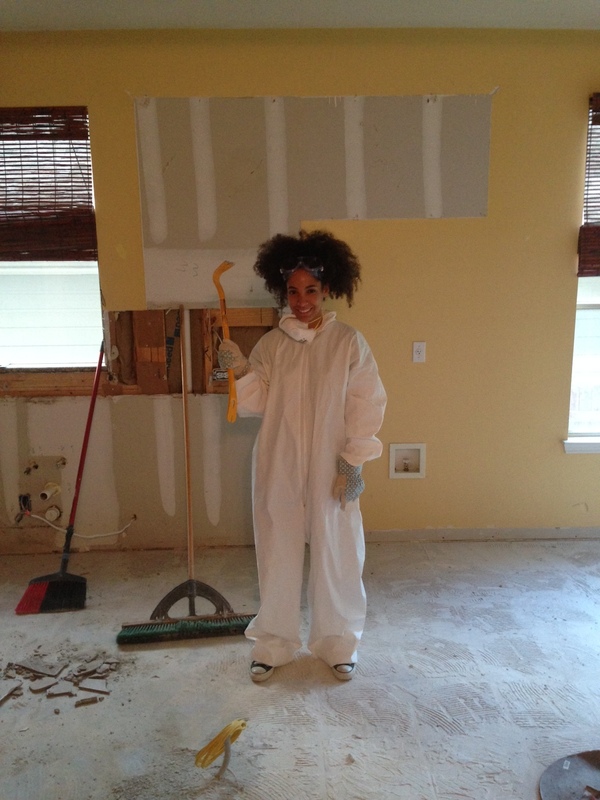 Home renovations seem like so much fun! Thank you so much @chymereanais:disqus!!! It’s much more open and airy now and we love it! 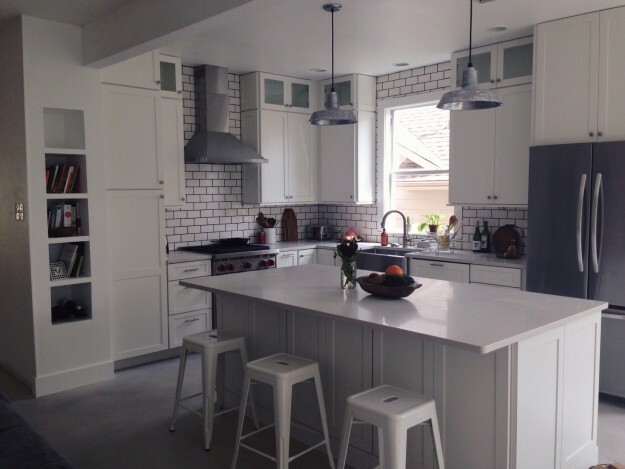 The finish product is fun but the renovation process was a nightmare at many points. HGTV makes it look fun but it’s not…lol! Decorating is the fun part! Awe…thank you so much Ashley!!!! Thank you so so much Efrutik!!! It was definitely not all DIY! We hired contractors and cabinet makers to do majority of the work. We just tore some things down and we designed everything. Wow, you guys did a great job, really subtle and understated. 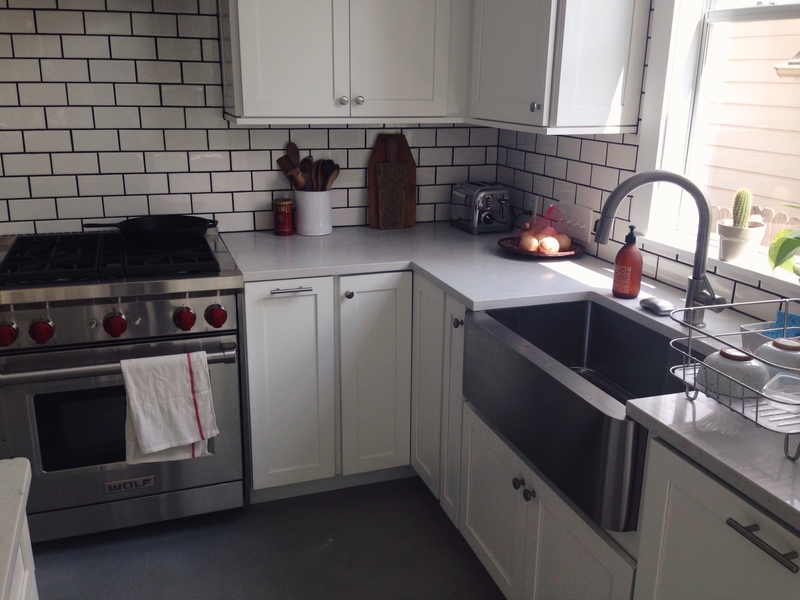 Love how the caulking on the subway tiles provides contrast as does the red knobs on the range, gives the space just the pop of color needed. Looking forward to more!!! Thank you, thank you @boazwife:disqus!!! We are waiting for our bamboo/woven grass shades that should add a warmth to the kitchen as well! I look forward to sharing more!!! Rockin the Wolf range… Okay! That kitchen is amazing and the subtle aesthetic looks expertly crafted. Great job. Want to redo my place? Thank you so so much @chevanne:disqus ! Lol…I never knew about the Wolf range until i started my intense research on appliances. I love to cook and I see the tremendous difference and I love it! 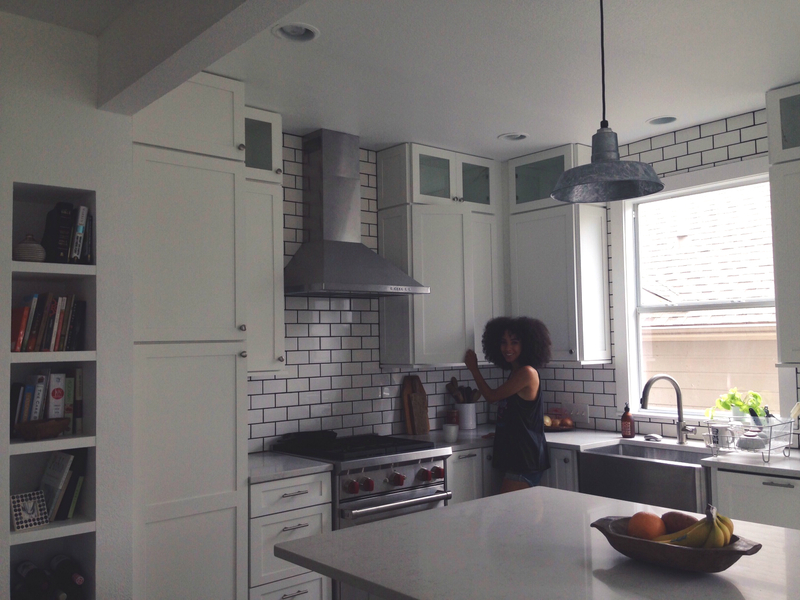 I also really really enjoyed designing our kitchen, and of course the hubby helped and yayed or nayed everything. Wow it looks so much better. Thank you so much thelady!!! So very chic and modern, really does look nice. Personally that beam next to the island from the before picture would have drove me up a wall if I had to see that every day!! Good luck with everything and trust me all of the work you put in will pay off if you and your hubby decide to sell in the future. Enjoy! Thank you soooo much @disqus_vi7SfEo0G5:disqus!!! And yes, that beam that was attached to the island had to go! It was so awkward! Your kitchen looks fabulous! I love the modern feel of it. The picture with you in it looks like it belongs in a home decor magazine! Thank you sooooo much @ANiSExiv:disqus!!! That’s a wonderful compliment!!! Thank you so so much @Aiych:disqus!!! Those red knobs are a signature of the Wolf stoves, so I just went with it even though it’s out of character for me. And yes, we love Austin to bits!!! Best move we ever made! I see why you and your friends want to move back! I hope you guys get to!!! Awe… @propeanutbutter:disqus, thank you so much!!! I’ll be posting more! My eyes cannot comprehend the beauty that has been set in front of them. 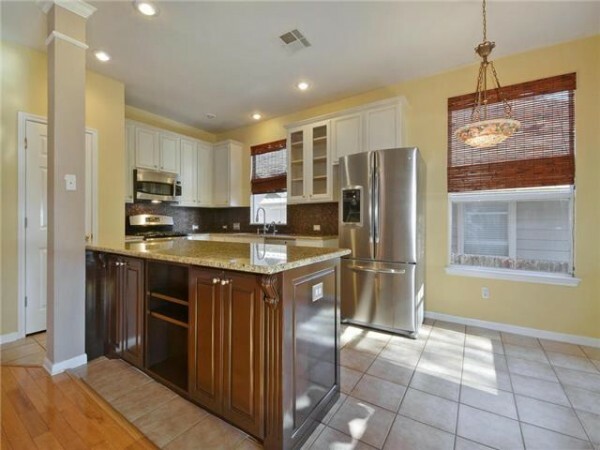 It is a gorgeous kitchen!!! You and Carl really thought out what you wanted and it was executed exquisitely! Congratulations on your home purchase and may the Lord bless your present and future. Thank you so so much for the wonderful compliment and your blessing @disqus_aZl32bEXEf:disqus!!! We really did a ton of research and renovating is wayyyy tougher than they make it look on TV. I’ve heard renovations have ended marriages! It can get stressful and very tedious! You have to pick out every knob, and find the right sizes for every fixture and so on…but God taught us a lot and we actually came out of the renovations with more faith and more patience. God bless you love! What a lovely kitchen! Great work! the new look, Iove the brightness and fresh look. So stylish, chic and warm. Love what you and your hubby have created. I just saw your beautiful wedding photo on thatkindofwoman’s tumblr. Congratulations and I’m glad that I’ve discovered your website. Kudos!